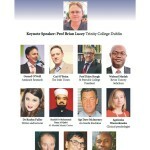 A national integration debate held last month sponsored by Metro Éireann, An Post, and the Office of the Minister of Integration, invited the Head Imam of the Al-Mustafa Islamic Centre Ireland as panelist to represent the Muslim community. The main event was the release of a research on integration by Amárach Research , according to which most participants of the research believed Muslims were among the least well integrated communities in Ireland. Shaykh Umar Al-Qadri was surprised. From where he stands, Irish Muslims are integrating better than other communities. Part of the mismatch between his perceptions and the survey findings might be that, when it comes down to it, it’s never really that clear exactly what integration means according to Shaykh Al-Qadri.